INFORM Health was established in 2010, after the founders, who were already working within the sexual health industry, identified a need for a new type of technology to improve the service. They created a system specifically designed to benefit both clinicians and patients, and to help revolutionise the service itself. Built from the ground up to support the needs of an ever-changing modern sexual health service, INFORM Health was born. At Bucks Biz, we’re happy to be flexible with office upgrades, upsizing and downsizing. The new INFORM Health office looks professional and spacious, which is what they require to continue to run their business effectively. INFORM Health chose Bucks Biz as their company base due to its great location, on-site parking and rates. “All of which work out to be great value for money,” INFORM Health told us. You can find out more about INFORM Health by visiting their website or calling 01285 619999. Are you looking to rent an office close to you in Milton Keynes? If you’re interested in taking your home business to the next level and moving into an office space, rent in Milton Keynes, Bletchley or Newport Pagnell with Bucks Biz. Whether you need a studio, industrial space, office or commercial space, there’s something for every type of business. 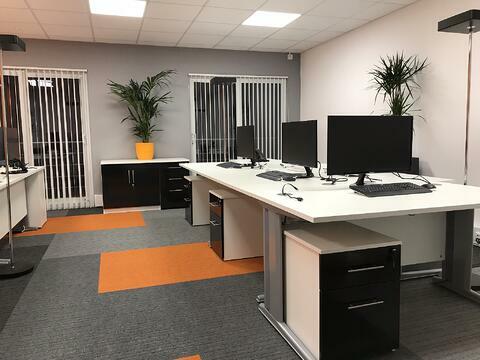 At Bucks Biz, our clients benefit highly from the advantageous facilities and resources on all of our Business Centre sites and we do our best to accommodate their business needs as it is important to us. 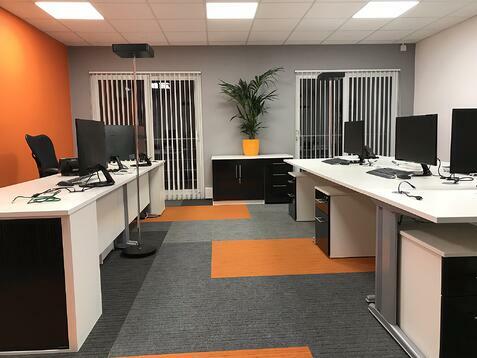 From on-site gyms, health and beauty services right through to our cafe, reception and post services are offered when you rent an office space with us. We have various sizes of office and studio space to rent in Milton Keynes. If you are interested and would like to view our available spaces to rent, call 01908 299 007. Read More from happy customers here. The staff are great, and there is always a buzz around the place as Bucks Biz constantly look to improve their facilities. I moved in October 2004 as Bucks Biz met the criteria and two years ago moved into a larger unit on the same site that allowed our business to grow further. We relocated to Bucks Biz after looking around many sites, we found that we were able to discuss our needs to comply with our specific business criteria. Will Fludgate M.D. BioChem Glass (Apparatus) Ltd. Check out our fantastic deals!